Shetland rose lace features on this stunning crescent-shaped shaw. 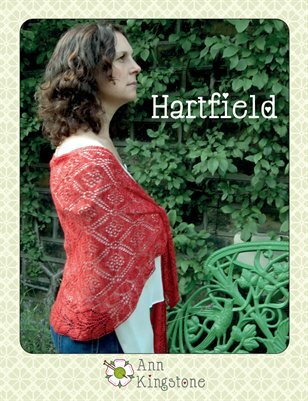 The whole shawl is knitted in one piece from one end to the other, with integral borders. The pattern provides both full line-by-line written instructions and charts.